Up to 50% savings on Easter items, visit our Sale Room! 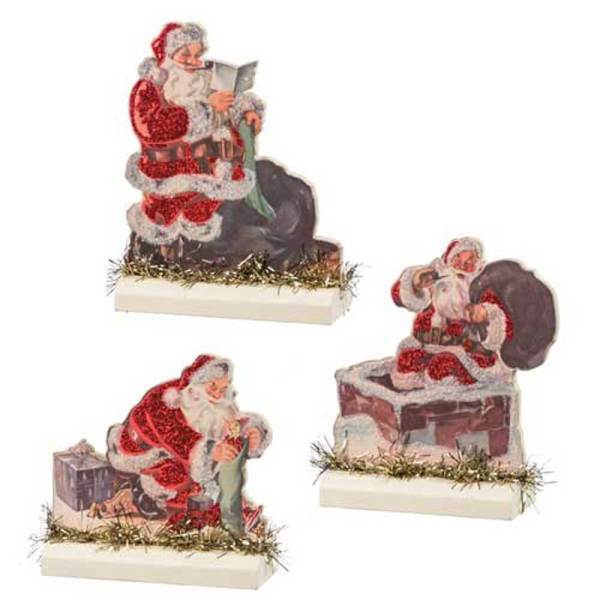 A set of 4 wonderful Vintage Santa table top decorations. 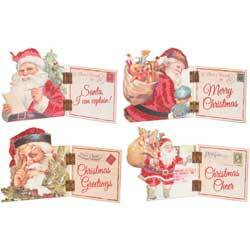 Set includes 4 designs in wood, paper, and metal with vintage Santa images. 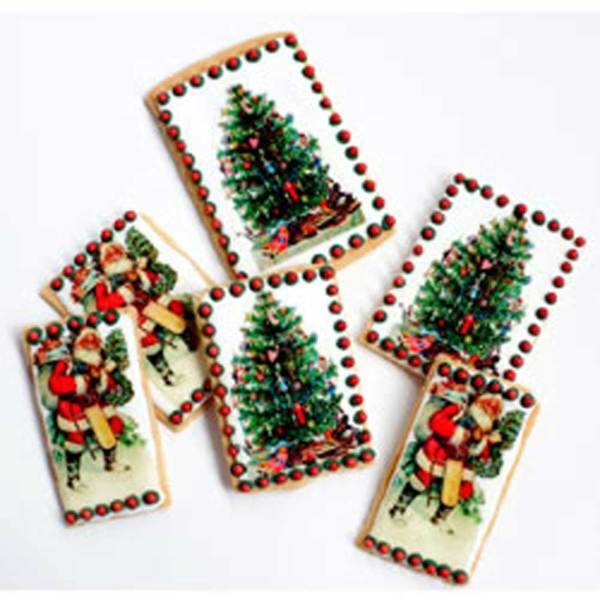 These little gems measure 7.75" x 5.5" with a moveable hinge at the center. 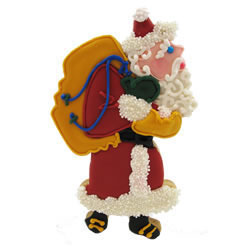 Messages include: Christmas Greetings, Christmas Cheer, Santa - I can Explain!, and Merry Christmas. © Copyright 2019 Fancy Flours. All Rights Reserved.